Breathtaking Ideas for Summer Centerpieces: Easy to DIY! Check out these Insta-worthy summer centerpieces for weddings. 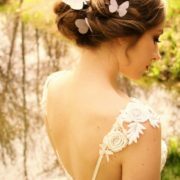 Particularly those DIY brides, as these tutorials are simple and TD (to die for). Tablescaping never looked so easy with these summertime beauties! 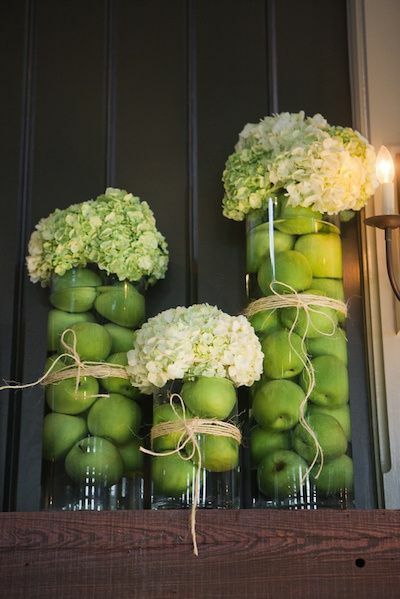 Tall summer centerpieces with apples and hydrangeas. Divine! There is an endless range of options when it comes down to summer centerpieces for weddings. 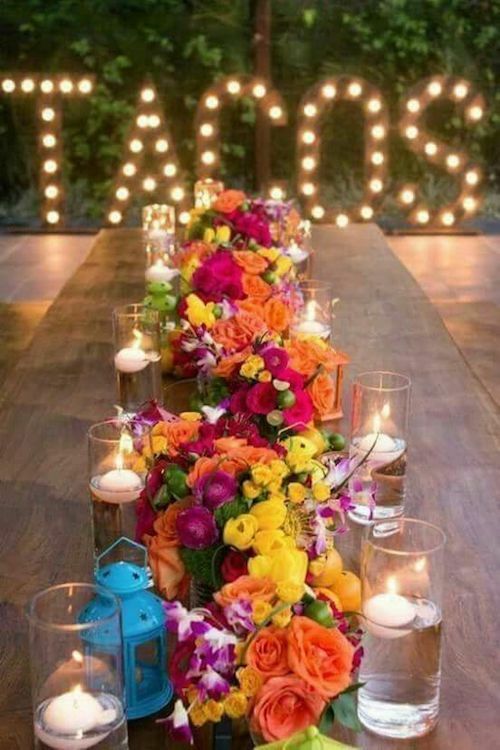 And that’s great because be it at the beach, outdoors or at a wedding hall, tables need decorating. We hope these fab ideas will come in handy as well as make your reception tables pleasant and attractive. Tall summer centerpieces are one of the most sophisticated choices you have available. 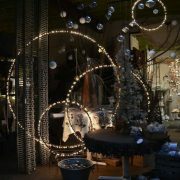 They are a great fit for large tables, open outdoor spaces or indoor spaces with very high ceilings. They add elegance in a simple and original way. Fill a glass container with apples and water. Add a bunch of hydrangeas and tie some rope for the final touch. Spread the cheerfulness of summer to your wedding! 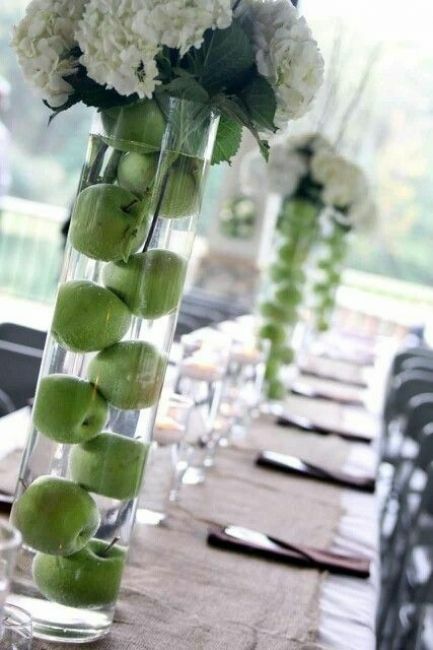 Submerged apples and hydrangeas add the cheerfulness of summer to your wedding! One hot trend for summer centerpieces are Mediterranean style flower arrangements. Peonies, ranunculus and tulips definitely come to mind. Complement them with table runners and other decor to fit your celebration. For a 70s bohemian look, fill your table with candles and flowers over a macrame runner. 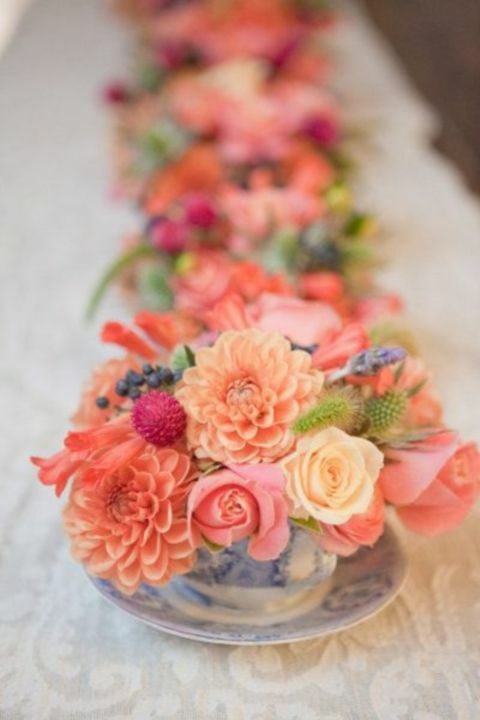 Replace the table runner for a line up of vintage cups and saucers filled with soft coral flowers and lavender sprigs. Stunning runner made of floral centerpieces. 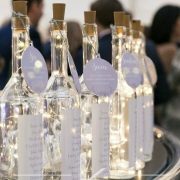 Related: Original and Affordable Wedding Centerpieces: Who Said Inexpensive Had to Look Cheap? This centerpiece could not be any easier and it will look striking on your tables. Most of the materials can be bought at the nearby dollar store. You will need terracota plates, glasses, terracota or plastic pots and your favorite flowers. 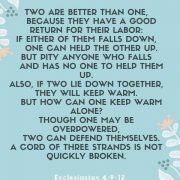 Make sure that the pots are filled with soil. That will make them sturdier and stronger enough to carry the weight of the top levels. Place the glasses with flowers evenly around each terracota plate. 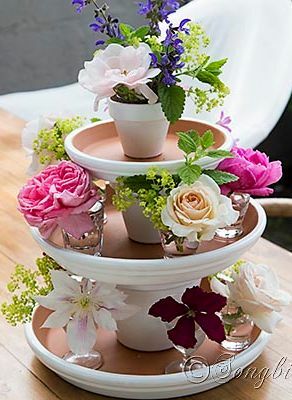 If you are crafty and want to turn these centerpieces into a permanent garden decor, you may drill through the plates (the pots already have holes) and secure a stick – a broom stick will do – all the way through. Easy DIY summer centerpiece for a garden celebration. 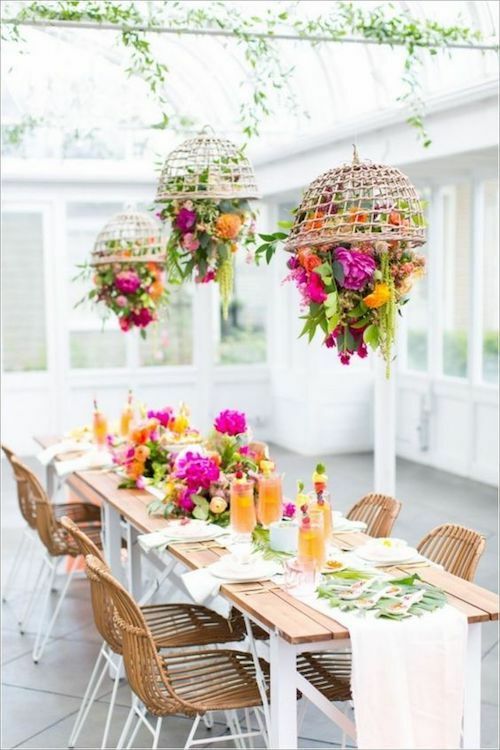 Suspended floral centerpieces for an intimate summer wedding. Horizontal flower arrangements are ideal for long reception tables. 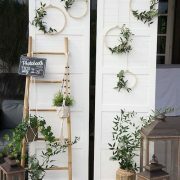 This is undoubtedly one of the most Pinterest-worthy centerpieces for summer weddings and is ideal for rustic and romantic style celebrations. Fill it with soil and cover the surface with mulch or dried moss. Plant a variety of flowers, in the colors that you like the most. You can even add some succulents. You’re done! Floral centerpieces that scream summer! Photo credit: F2 Studio Photography. 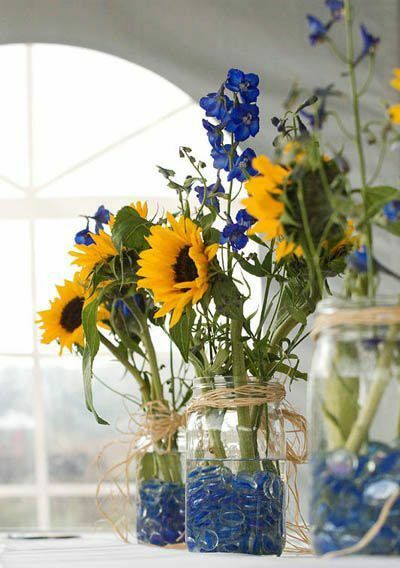 DIY your wedding centerpieces with mason jars, crystals from the dollar store and summery sunflowers. Such a lovely idea for your tablescape. 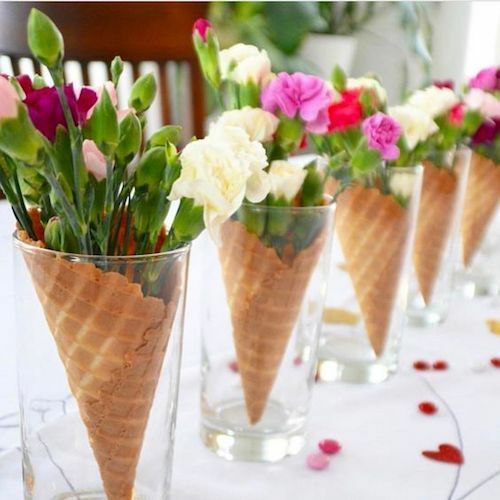 Colorful flowers in ice cream cones. Nothing says summer like refreshing citruses and fruits. Dip into colors and delicious smells and reflect them in your wedding decor. There are many centerpieces with fruits that can look great in a rustic or country style wedding. Personalize these simple, and easy to DIY centerpieces with fruits, veggies and flowers. Glasses filled with limes, lemons and margaritas, so refreshing your guests will want to do away with them! I dare you to make one with sangria! Yum! 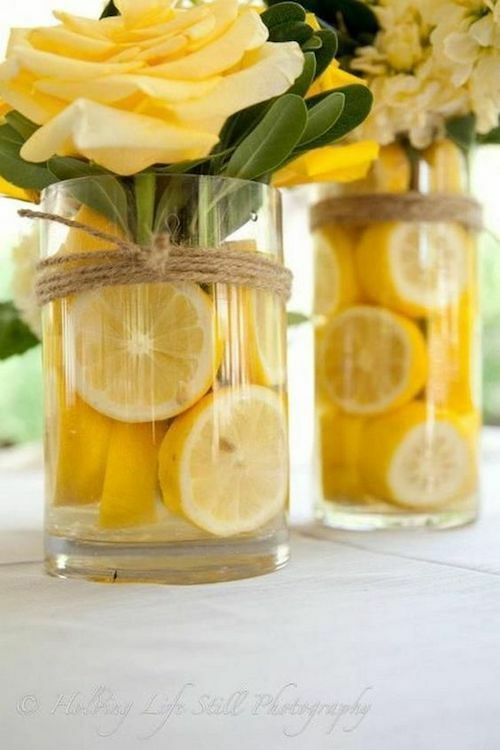 Lemon centerpieces have a very natural and refreshing look. Slice lemons. Put a vase inside of a container to hold the lemon slices in place. Fill both containers with water and add the flower arrangement of your choice. Nifty, right? Tutorial to make your very own citrus centerpiece. 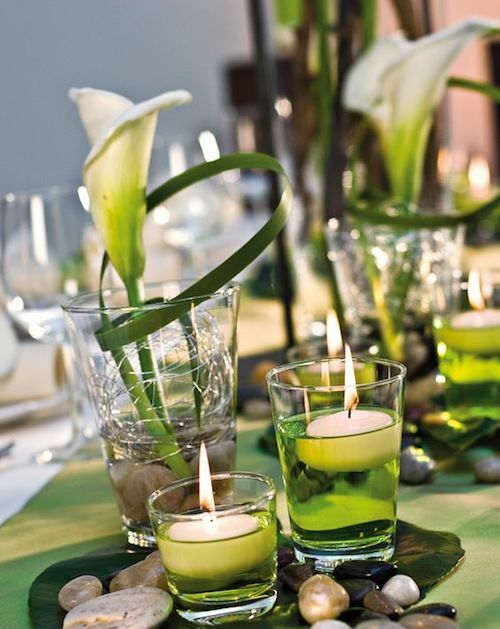 Candles will instantly up the ambiance of your evening wedding reception. 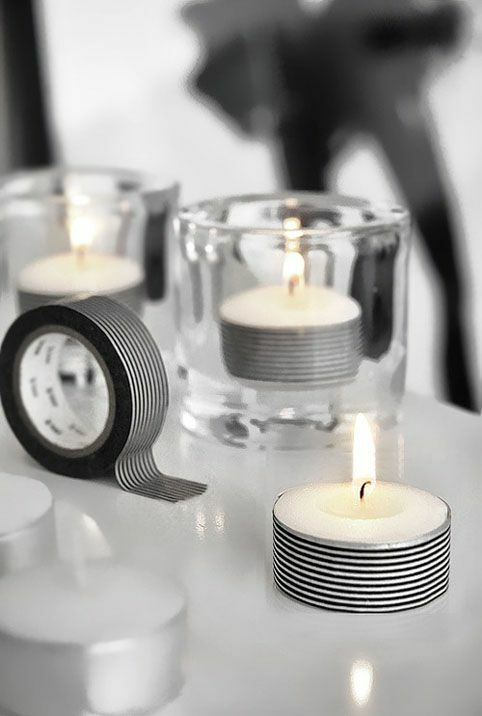 You can make very simple ones with decorative Washi tape and some tea lights. 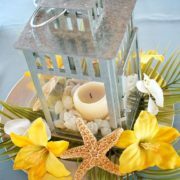 Check out these creative centerpieces and table decorating ideas, perfect for summer entertaining. Washi tape can turn your votive centerpieces into art! Calas for a noble and elegant table decoration. 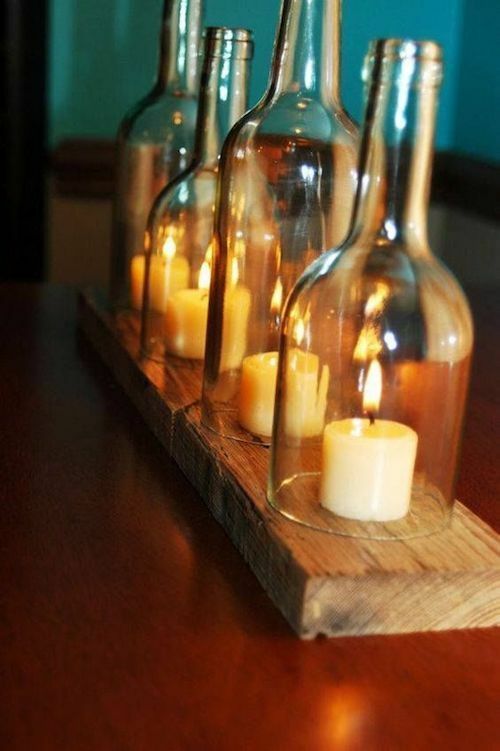 Original bottled candles table centerpiece. Even More Summer Centerpieces for Wedding Receptions! In the following photos we will see centerpieces for weddings that could be perfect for you. Many of them have simple tutorials for you to DIY. Enjoy! Photo Credits: happywedd, countryliving, futuristarchitecture, instagram, weddingomania, afloral, SMP, houseofharper, mariages. 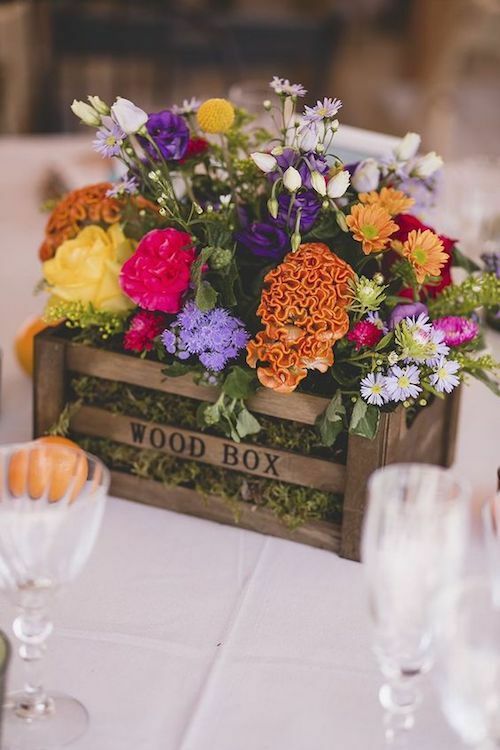 06/01/18 /0 Comments/by Havi G.
https://bodasyweddings.com/wp-content/uploads/2018/05/floral-centerpieces.jpg 750 500 Havi G. https://bodasyweddings.com/wp-content/uploads/2019/01/bodasyweddings-logo-byw.png Havi G.2018-06-01 10:18:382018-07-16 13:23:25Breathtaking Ideas for Summer Centerpieces: Pinterest-Worthy & Easy to DIY!